A dental emergency can be very scary, but at Dental Care Today in Fishers (just east of Carmel), you can feel safe and secure knowing that if an emergency occurs, Dr. Behner is here for you. Emergency dentist Dr. Behner and his team care about their patients and want to make sure that they are alright and taken care of and receive the emergency dental care they need. If you are experiencing a dental emergency or severe tooth pain in Indianapolis, you can call us at any time, and we will do whatever we can to help you in your time of need. A Knocked Out or Lost Tooth | If your tooth becomes knocked out, saving the tooth is paramount. If you are unable to reinsert the tooth into your gumline, place the tooth in a container of milk and bring it in immediately. We will offer you fast dental emergency treatment. A Broken Tooth | If your tooth breaks, apply a cold compress to the area immediately to relieve some of the pain and call us. We will arrange for an emergency restorative dentistry treatment immediately to help. Severe Tooth Pain | If you are experiencing severe, agonizing tooth pain, call us now. This could be an indication of a bigger issue, or a sign that an emergency root canal is necessary. We will do everything we can to relieve your pain and provide you with a fast, effective solution. Lost Dental Work | If dental work gets knocked loose or lost, call us immediately. We will provide emergency care for your teeth and replace the dental work as soon as possible. We hope that accidents never befall our patients, but when a dental emergency happens, we make sure our patients are covered and can get the help they need fast. To find out more about our dental emergency procedures, contact us at our office in Fishers. 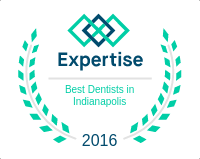 If you are in the Indianapolis area, including Carmel and Fishers, and have experienced a dental emergency or are suffering and need tooth pain relief, call us immediately for emergency dental care!